Two things stood out about Dr. Maricela Lizcano to the director of the nanotechnology research group she belonged to at the University of Texas, Pan American. The first was that she was about 12 years older than the other students, having returned to school as an adult. The second was her determination and motivation to achieve her goals despite suffering from Stargardt’s disease, a hereditary form of macular degeneration that was slowly taking her eyesight. The disability did little to stop the Texas-born Dr. Lizcano, who was awarded internships from the National Science Foundation and the U.S. Department of Energy as an undergraduate. With the aid of a special computer and a magnifying glass, she successfully finished her M.S. degree and applied to continue with her Ph.D. at Texas A&M where she was the recipient of a scholarship from the NSF Louis Stokes Alliance for Minority Participation. Today, Dr. Lizcano is a highly respected Research Materials Engineer in the Materials Chemistry and Physics Branch at NASA Glenn Research Center. Her diverse background in materials science includes processing and characterization of advanced engineering ceramics, composites, nano-reinforced polymers, electrorheological suspension fluids and low-temperature processed inorganic polymers. Dr. Lizcano is conducting research and development of advanced processing methods in polymer derived ceramic fibers and tows for high temperature applications. In October of 2014, she became the lead for the Multilayered Functional Insulation System (MFIS) team; a subtask of the High Voltage Hybrid Electric Propulsion work under NASA’s Convergent Aeronautics Solutions (CAS) Project. In that effort, the team successfully demonstrated feasibility of lightweight high voltage power distribution for electric propulsion. The team’s significant findings have resulted in the work being transitioned into another ARMD project; Transformative Tools and Technology (TTT), extending the research effort for another 3-5 years. Both the CAS and TTT Projects fall under the Transformative Aeronautics Concepts Program (TACP). Leading a group of more than a dozen researchers, Dr. Lizcano is known for her willingness to take on difficult tasks of project management involving concept development, planning, reporting or briefings to managements, and aggressive planning in seeking new funding sponsors. As a researcher and scientist, she is always passionate in finding out mechanisms and theories of new material phenomena or behavior and in exploring new technologies. As a result, Dr. Lizcano has made significant technical achievements and contributions including numerous patent applications, publications, and conference presentations. She has also been exceptionally avid in mentoring interns and co-op students and promoting STEM careers to younger generations. While still an undergraduate, she conceptualized, organized, and implemented a Hispanic Engineering, Science & Tech- nology (HESTEC) Week Science Competition for 460 high school students from over 40 schools. 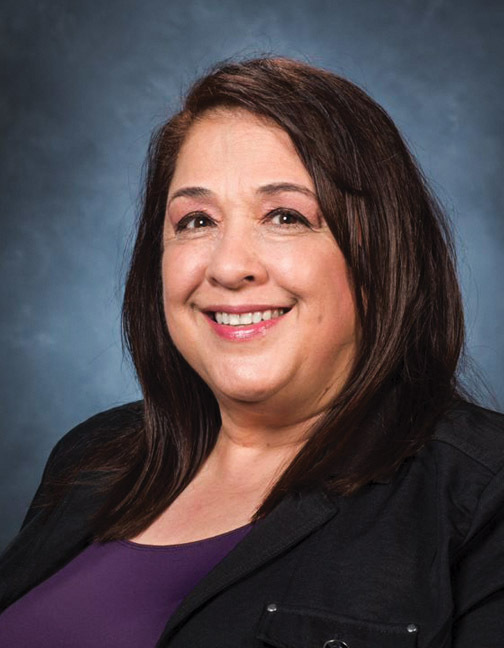 An outstanding leader noted for her charisma, maturity, high energy, and team orientation, Dr. Lizcano is a member of SAE International, the American Ceramics Society, the American Society for Engineering Education, and the NASA-GRC Disability Awareness Advisory Group.